Havre de Grace is one of Maryland’s oldest port cities. Its name is French for “Harbor of Grace.” Havre de Grace is located on the Susquehanna River. Just across the river is the community of Perryville. 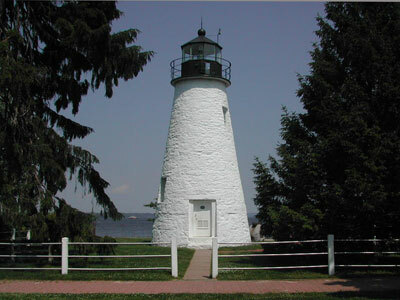 Located on the Havre de Grace shoreline, Concord Point Lighthouse marks the junction of the Susquehanna River and the northern tip of the Chesapeake Bay. The lighthouse is listed on the National Register of Historic Places. The Havre de Grace Promenade follows the shoreline from Concord Point Lighthouse to The City Marina. Along its path are Concord Point Park, museums, Tydings Memorial Park, and the Havre de Grace City Yacht Basin. Nearby, the Havre de Grace Fishing Pier is a popular area for fishing and viewing the river. Havre de Grace was honored as one of America’s 20 best small towns to visit in 2014 by Smithsonian magazine.